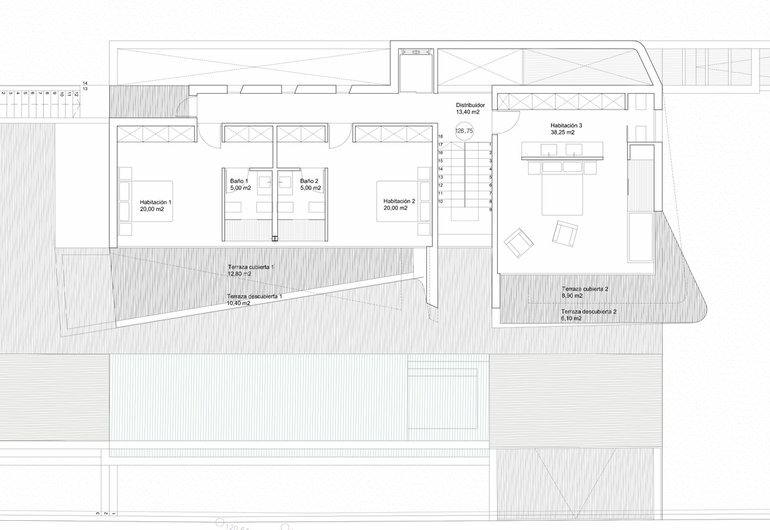 Villa Katya is a beautiful design villa which will be built in Moraira. 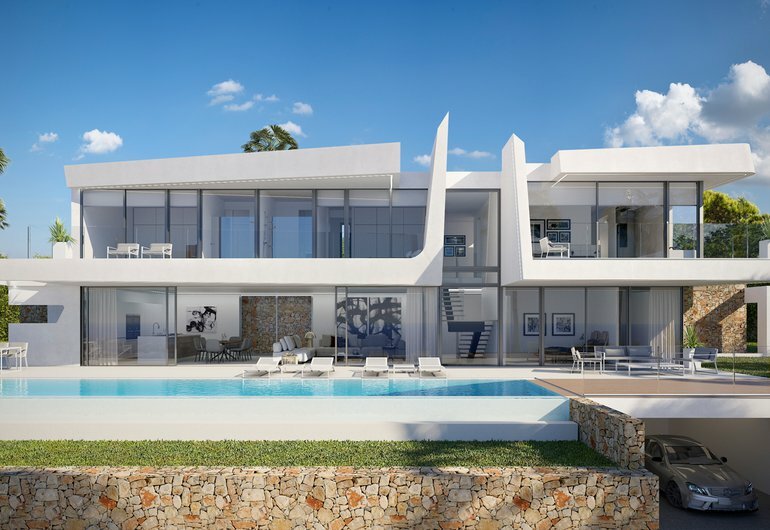 The villa will be located on an elevated plot with beautiful view on the sea and close to the Mediterranean town of Moraira on the Costa Blanca. It is just 15 minutes drive to Calpe and about 1 hour to Valencia. Because of this, there is an optimum combination of the peace and quiet of Moraira with the culture and activities of larger cities. The villa will be built very close to the Mediterranean coast and in the vicinity of bars, restaurants and local shops. 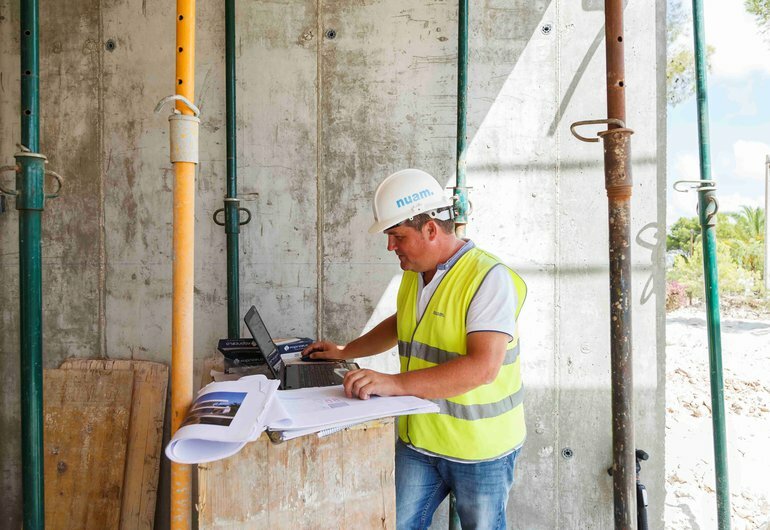 The property will have air conditioning (hot/cold), underfloor heating, a landscaped garden with infinity pool and bbq area, and an elevator (lift). 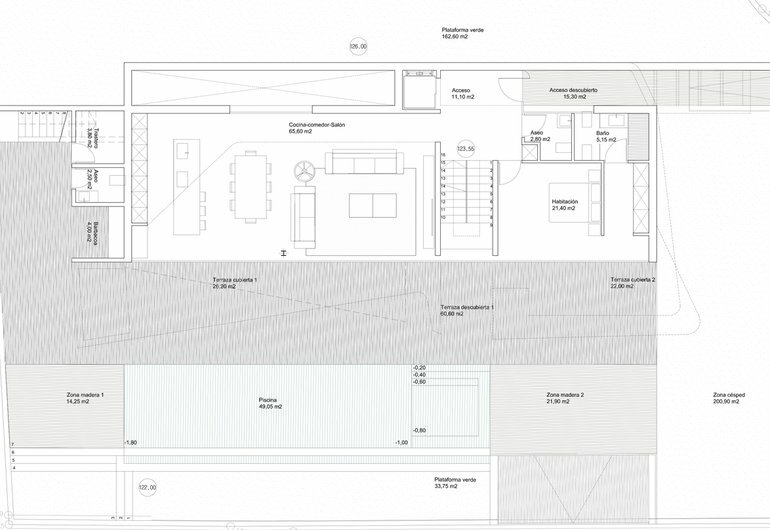 There will be 4 bedrooms each with an en-suite bathroom. The climate in Moraira is sunny, so there is more than 300 days of sun a year. The average temperature in summer is 27 degrees celsius and in the winter 17. This makes it ideal for different outside activities such as golf, tennis, walking/hiking, and sailing. If you want more information about this villa, you can telephone or email to contact us. 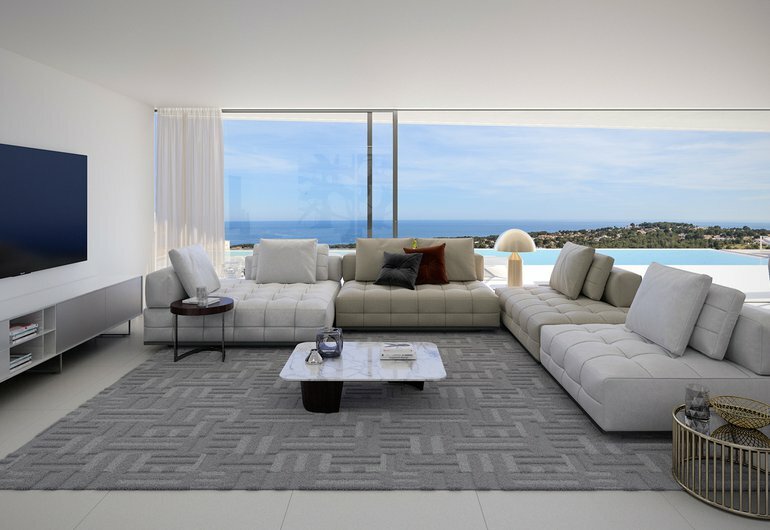 Villa Katya is a beautiful design villa which will be built in Moraira. 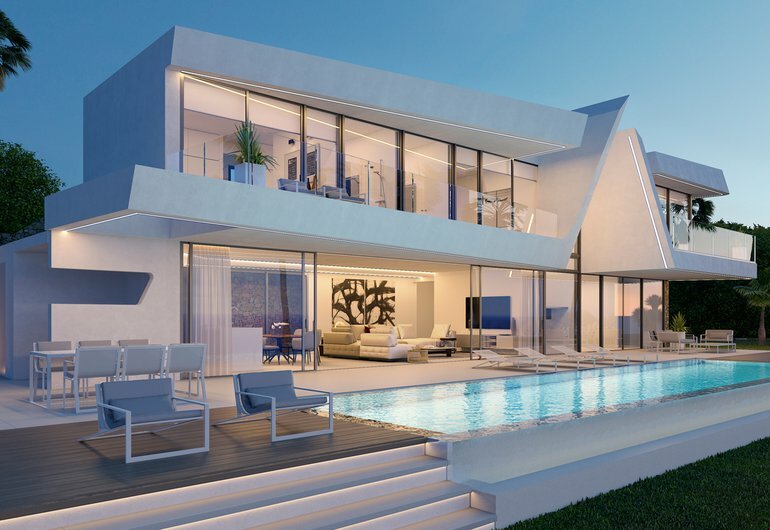 The villa will be located on an elevated plot with beautiful view on the sea and close to the Mediterranean town of Moraira on the Costa Blanca. It is just 15 minutes drive to Calpe and about 1 hour to Valencia. Because of this, there is an optimum combination of the peace and quiet of Moraira with the culture and activities of larger cities. The villa will be built very close to the Mediterranean coast and in the vicinity of bars, restaurants and local shops. 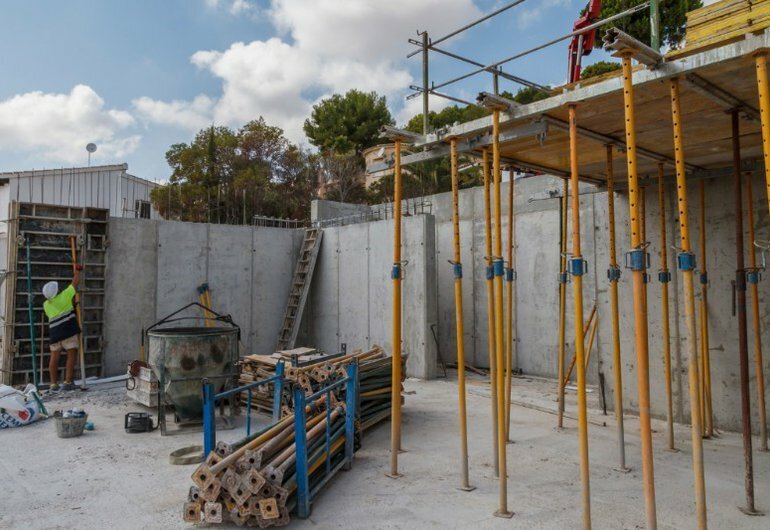 The property will have air conditioning (hot/cold), underfloor heating, a landscaped garden with infinity pool and bbq area, and an elevator (lift). 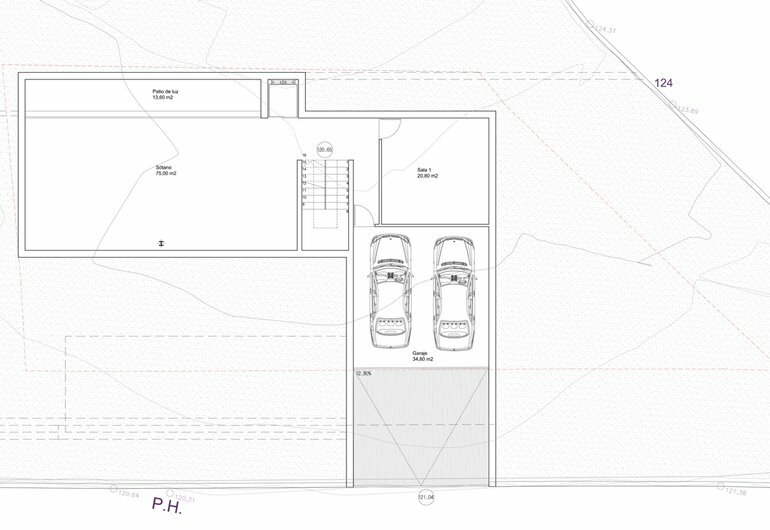 There will be 4 bedrooms each with an en-suite bathroom. The climate in Moraira is sunny, so there is more than 300 days of sun a year. The average temperature in summer is 27 degrees celsius and in the winter 17. This makes it ideal for different outside activities such as golf, tennis, walking/hiking, and sailing.